For this card, I broke out my Silhouette again. I cut the background blue piece, and the white trees and layered them together. 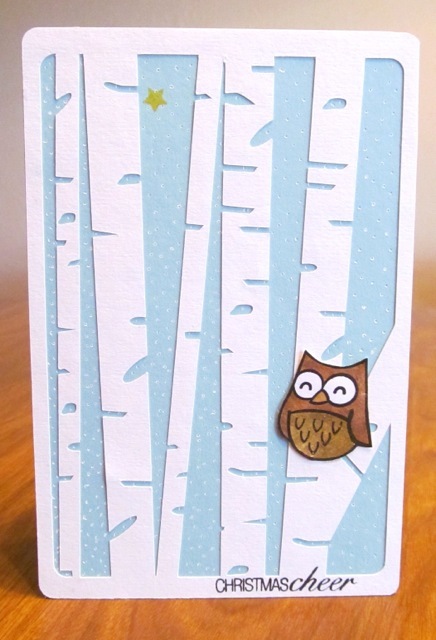 I stamped a Lawn Fawn owl, painted him with inks, and added some Wink of Stella. I added little dots of snow with my Signo white gel pen, and stamped an Ali Edwards star in yellow. The sentiment is also by Ali Edwards. Very different card for me, and I really like it!